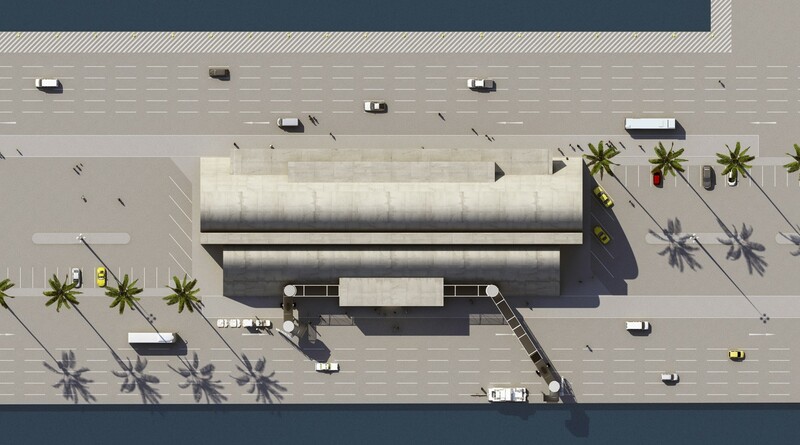 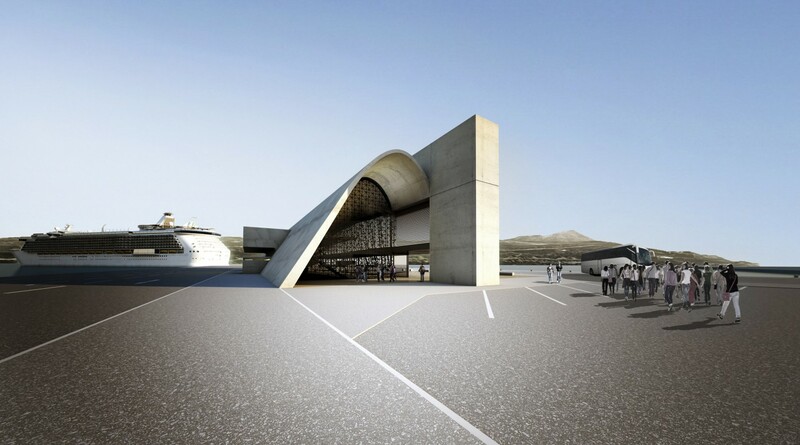 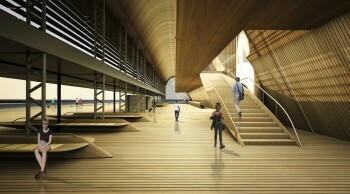 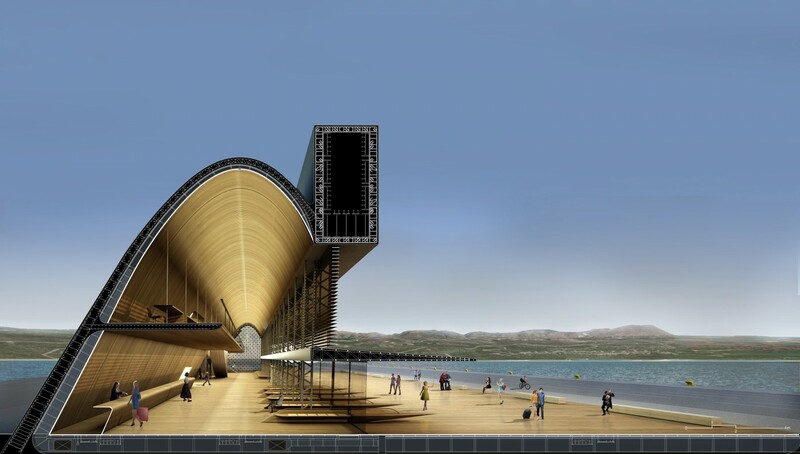 Souda’s new Passenger Station -which will serve both cabotage and cruise- is necessary to operate as a landmark. 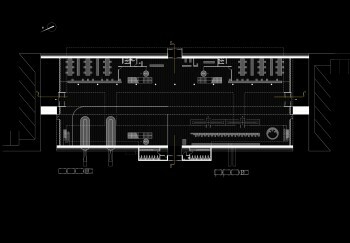 The peculiarity of the project lies in the fact that it will need to be realised in two phases. 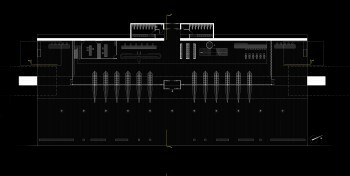 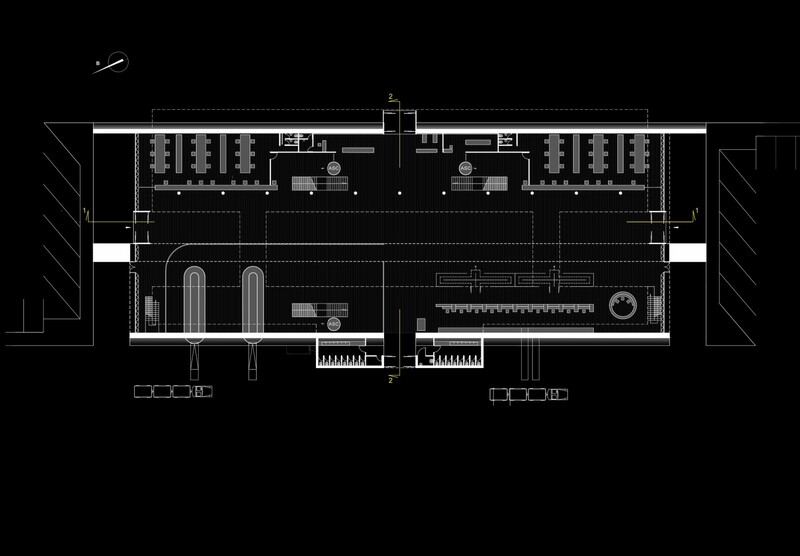 Regardless of the time span between the realisation of each phase, the project’s character should be intense for both, the intermediate phase and the completed station. 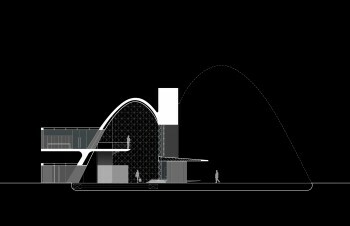 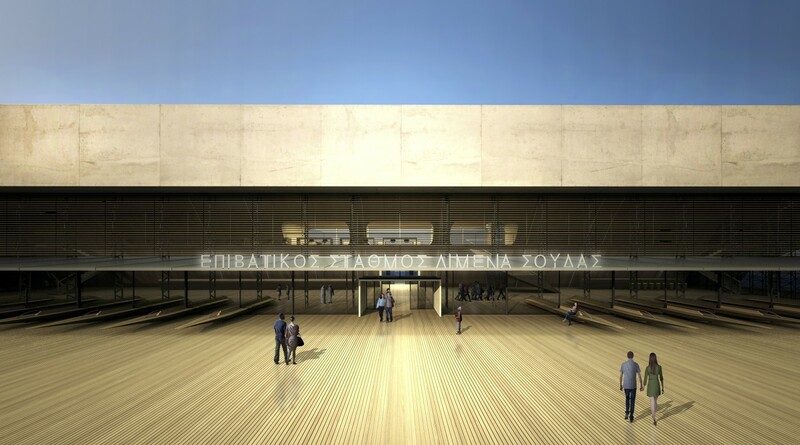 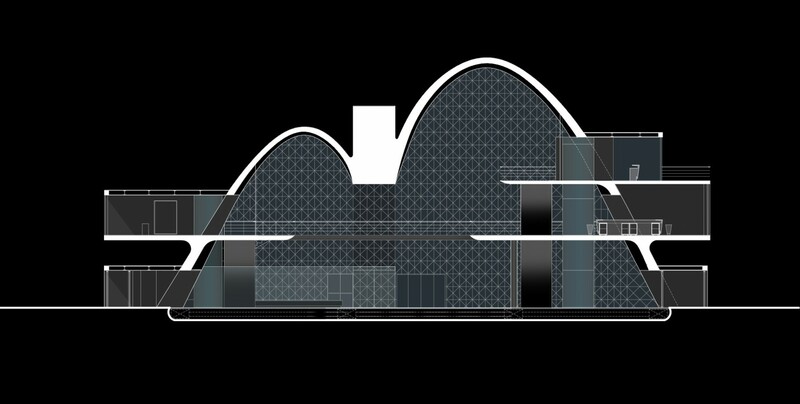 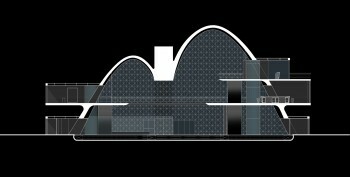 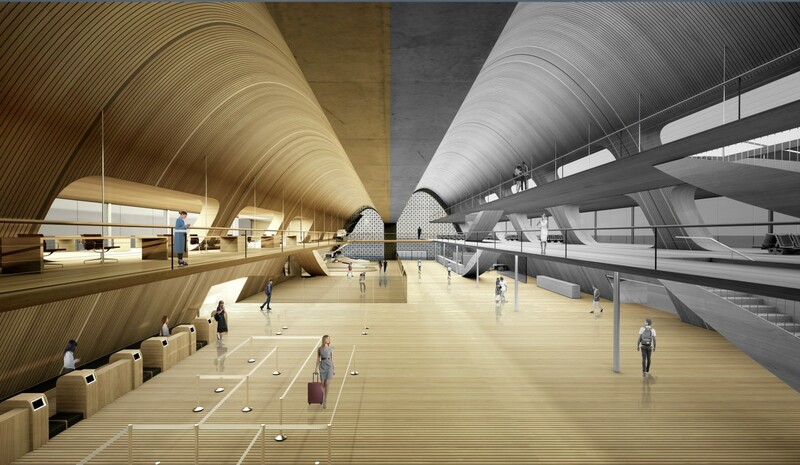 The main conceptual idea stems from this very fact as well: the field is divided into two areas, axially to its length, where two bilateral arched shells are formed for the intermediate and the final phase of the project: 2 complementary galleries that refer to the symbolic, curved form of the Neorians, creating a welcoming interior for the continuous, demanding, yet free movement of passengers. 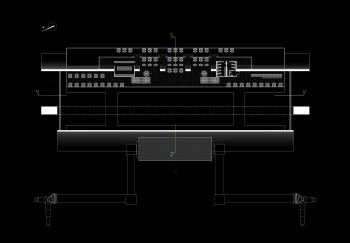 The two uneven galleries, in terms of width and height, are separated by a continuous beam along the field, which at the same time allows a complete functional unification of the interior during the final phase of the project. 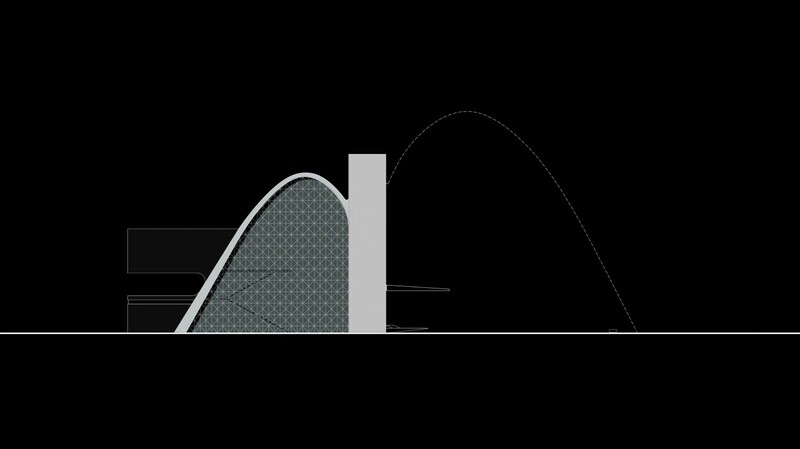 The paraboloid shells create a symbolically charged and at the same time inviting interior space, protected by the intense Cretan sun - complemented by two more levels of operation in the form of free-standing lofts that receive the waiting area and the restaurant. 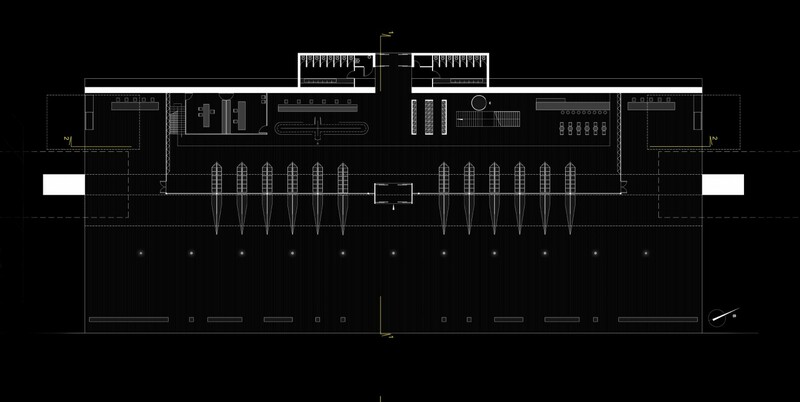 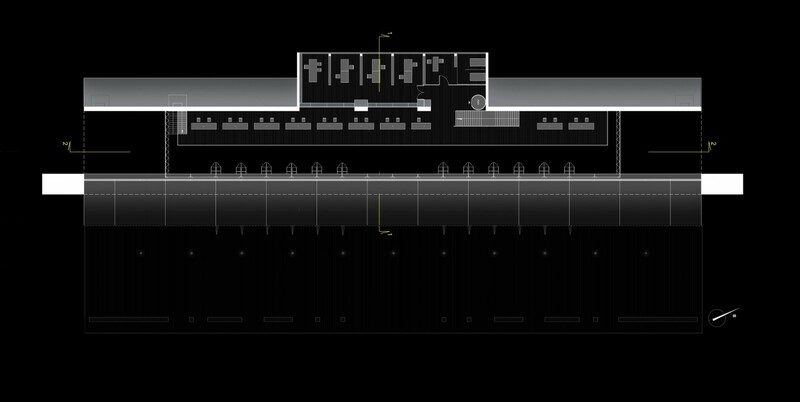 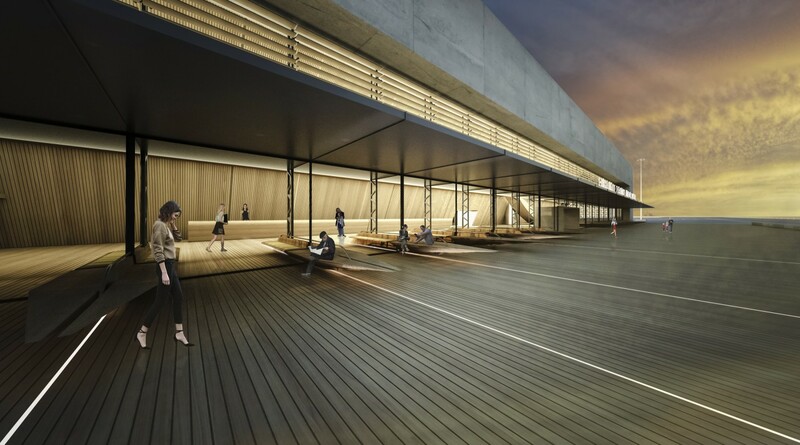 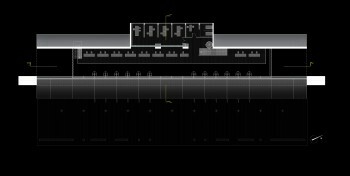 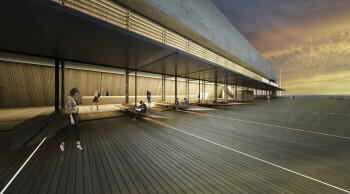 These levels, as well as the ground-floor waiting area of the Intermediate Station, are open to the east and the open sea, while the area to be occupied in the future by the construction of the second galley extends the intermediate phase to the open air as a large square. 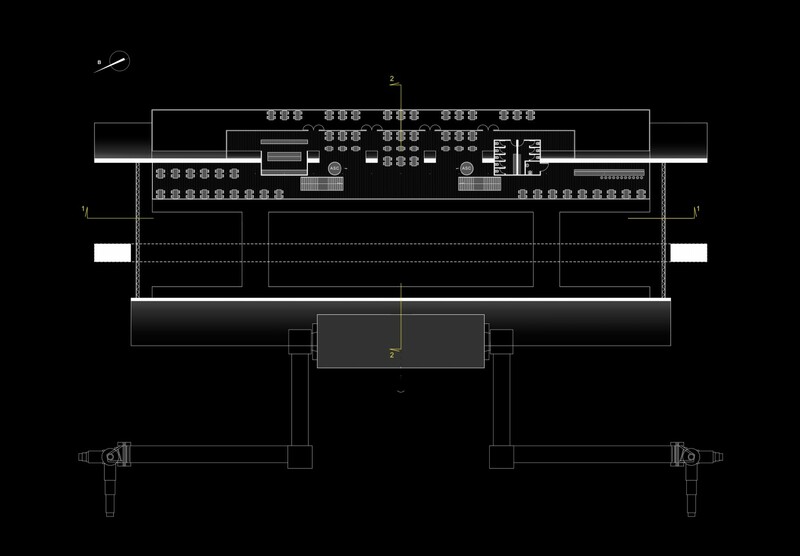 The elongated beam that divides, but also unifies the two phases of the project, is the main structural element of the geometric planning of the whole. 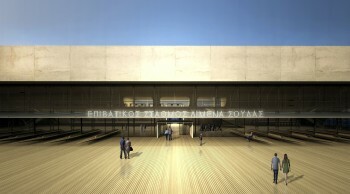 Seated on two columns on the border of the field, it shapes the eastern facade of the Station, during the Intermediate phase, in accordance to its open public plaza.